Ferrari commendably gave the substantial makeover to the ancestor 458 Italia. Let that then be the Side Slip control 2, the sculptural flanks or the seamless integration in the cabin, Ferrari 488 GTB has all what a racer with class needs. 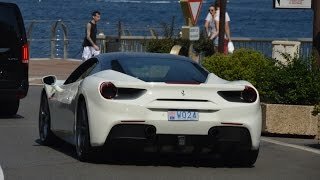 Talk to a kid about his first dream car, “Ferrari” is what he says, its commendable eye seeking journey began back in 2010 with Ferrari 458 Italia. Moving ahead in coming years the roads and the racers got blessed with the 458 Italia Spider in 2012, 458 Speciale in 2014, 458 Speciale A in 2015 and now here we are with its new modified version to 458 Italia, here in this review article, scheduled to be in production by September 2015. The prancing horse team has hit the floors with its previous 458 Italia’s successor, Ferrari 488 GTB. 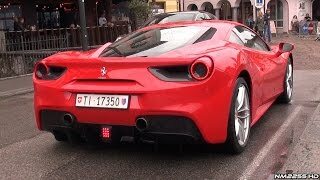 With the release of modified version of 458 Italia, it is clear that the makers too weren’t satisfied with the entry level and with this they have proved, ‘Ferrari comes with nothing but the best’. Adding to the surprise of the luxurious speed fans, to this version the specs get a new 3902 CC V8 turbo engine unleashing 670 CV at 8000 rpm and the whooping 760 nm of Torque adjoins the ride with the response time of 0.8 sec at 2000 rpm, which indeed makes it much better then the ancestor 458 Italia. 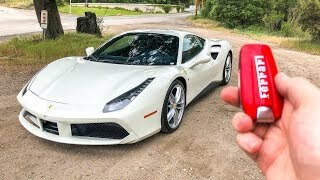 The Ferrari 488 GTB’s gearbox features the variable torque management, which unveils engine’s massive toque providing the breaths a smooth and powerful performance at same time while the specific gear ratios deliver incredible program acceleration. Calling this ‘Gentle monster’ as the ‘mechanic Sylvester Stallone’ won’t be wrong, as it’s rare to have the power and smoothness in the same blend. As for the fans of the sound, this version holds a full clear sound to roll the city and grab the eye balls accompanied with its distinct looks. This four wheeled ‘Gentle monster’ takes you from 0-200 KMPH in just 8.3 seconds and 0-100 KMPH in 3 Seconds, breaking the records of its ancestor 458 Italia and adding more it, with this upgraded release, you can now lap the Fiorano track in just 1 min 23 seconds, which indeed is a new record looking at its ancestors. The Fuel consumption for this wind scrapper is 11.4l /100 KM with 260g/km CO2 emissions. Keeping the flag, the aerodynamics has made a benchmark in terms of contribution to performance of Ferrari 488 GTB. While the rare active aerodynamics coupled with a brown spoiler, taking it to the efficiency figure of 1.67, making another record with 50 % more down force and reduced drag than the previous model. As for the face, the double front spoiler, base bleed side intakes are commendable add-ons. The Ferrari 488 GTB standing amorously at the height of 1213 mm and is 1952 mm in length weighing 1370 KG. The weight has been proportionately divided lying 46.5% to front and 53.5% at the rear. 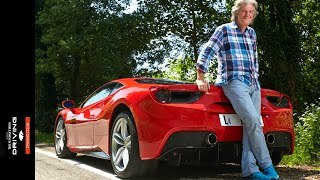 Well this was all for the complete specifications of Ferrari 488 GTB as for now and with all confidence we can say that with us several wide opened pupils are sneaking at the gleam of this enthralling modified version.